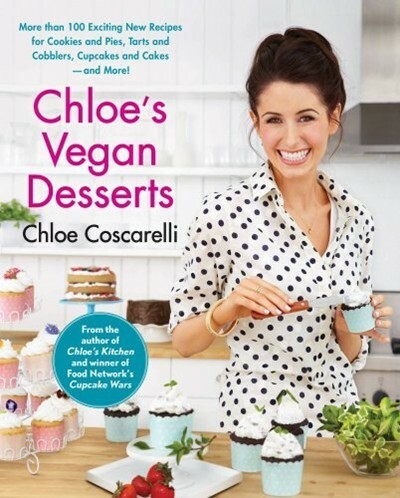 The first vegan winner of "Cupcake Wars"--and of any reality cooking show!--Chef Chloe, author of the popular "Chloe's Kitchen," brings her signature creativity and fun to the best part of every meal: Dessert! Chloe's fantastic-tasting, beautiful desserts are what first got her national media attention when she wowed the judges on Food Network's "Cupcake Wars. "And her famous desserts are what her enthusiastic fans always demand. Now Chef Chloe offers her first all-dessert cookbook--and you will just not believe these delicious dishes are vegan. 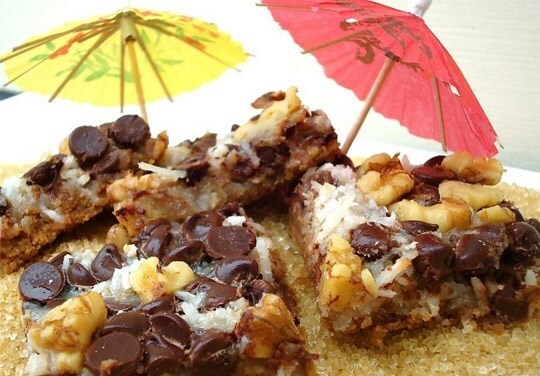 Instead of relying on the tofu, applesauce, egg replacer, and mashed bananas that many other vegan cooks use, Chloe works a different kind of food science magic, with liquid proportions and leaveners like baking soda and vinegar to make cakes rise and remain moist and to give her food a texture and taste that vegans and non-vegans alike crave. Go ahead and lick that spoon! There're no worries when you cook vegan. Chloe re-creates classic desserts and treats from creme brulee to tiramisu to beignets as well as store-bought favorites--made with a humorous taste twist--like her ChloeO-type Oreos and Pumpkin Whoopie Pies. Chloe also serves up brand-new triumphs like her dreamy Lemon Olive Oil Cake with Rosemary Ice Cream, Coconut and Chocolate Cream Pies, Coconut Sorbet with Cashew Brittle, and a dozen innovative cupcake creations. Who can possibly resist? With 100 fabulous, easy-to-make recipes and gorgeous color photography, "Chloe's Vegan Desserts" is the next great innovative baking and dessert book with a universal appeal.